Samatva Yogalaya, Rishikesh - Rys 200, 300, 500: yoga teacher training & Yoga Alliance certification in India - RYT 200, RYT 500, E-RYT 200, E-RYT 500. Samatva Yogalaya is a Registered Yoga School (RYS) in Rishikesh, India that provides yoga teacher training for teachers to register with Yoga Alliance as RYT 200, 300 or 500 hours and also E-RYT 200 and E-RYT 500. Samatva Yogalaya offers yoga teacher training according to standards prescribed by Yoga Alliance and is registered with Yoga Alliance as Registered Yoga School RYS 200, RYS 300 and RYS 500. How much does it cost to become a yoga teacher in India ? 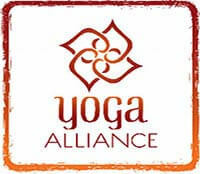 What is Yoga Alliance ? 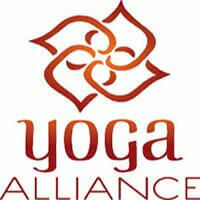 Yoga Alliance is the largest non-profit association of over 77,500 yoga schools and teachers devoted to promoting the integrity and diversity of the teaching of yoga. The organisation has its headquarters at Arlington, Virginia. There are also a number of other international Yoga Alliance organisations like Yoga Alliance Australia, Yoga Alliance Europe, Yoga Alliance Singapore and Asia Division, Yoga Alliance UK, etc. Yoga Alliance International is a globally accepted professional credential given to Yoga Schools and Yoga Teachers but is not an official governing body of yoga. However, all Yoga Alliances in the world are official organisations that are dedicated to the education of yoga and set the best standards for the accreditation of yoga teachers and yoga training programs. What is Yoga Alliance certification & registration ? Registered Yoga Teacher (RYT) is a title that is offered to a yoga teacher who has received a certain standard of yoga teacher training at a Registered Yoga School (RYS). RYT is offered by the Yoga Alliance at the 200, 300, and 500-hour levels of yoga teacher training.Registration with Yoga Alliance is voluntary but is an internationally recognized credential system accorded to trained yoga teachers and registered yoga schools. Yoga Alliance does not offer a certification program but a membership where the name of the yoga teacher or yoga school gets listed in the Yoga Alliance Directory. They retain their RYT and RYS designation as long as they remain members of Yoga Alliance. A RYS registry with Yoga Alliance means that the yoga schools meet Yoga Alliance standards and requirements to teach yoga worldwide. 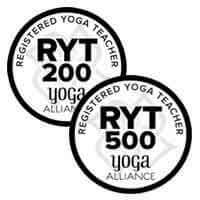 RYT credential means that teachers meet Yoga Alliance standards and requirements and have the appropriate training and teaching experience to conduct classes and teach yoga.One criterion required for registry is that yoga teachers complete their teacher training at a Registered Yoga School (RYS) which is a registered trade mark. What is E-RYT 200 ? What is E-RYT 500 ? Teachers can register as E-RYT 500 once they have successfully completed a 500-hour yoga teacher training program from a Yoga Alliance registered school. They need to have taught yoga for a minimum of four years since completing training with a 200-hour and 300- hour RYS. The 500 hours of training can either come from just one school or can be a combination of a 200-hour program plus an additional 300-hour advanced training program from two different RYS. To be designated E-RYT 500 applicants need to submit their completion for 2,000 teaching hours. Out of this 1,500 yoga teaching needs to have been completed after completing training with a RYS 200 or 500 and the remaining 500 teaching hours after completing training with a RYS 300 or 500. 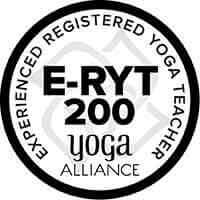 On registration E-RYT 500 the teacher is qualified to provide continuing education yoga workshops to other teachers and can be the Lead Trainer of a 200-hour, 300-hour or 500-hour teacher training program. What are RYS, RYS 200, RYS 300 and RYS 500 ? A Registered Yoga School (RYS) is a distinction that is given to yoga schools where yoga teacher training programs meet Yoga Alliance standards. A RYS submits their program syllabus to Yoga Alliance. Once it is verified by the credentialing team and annual fees submitted the yoga school is entitled to use the trademark RYS for the teacher training courses according to the hours of training imparted. Samatva Yogalaya is a Registered Yoga School that imparts the 200, 300 and 500 hour yoga teacher training course according to Yoga Alliance standards and so uses the trademark RYS200, RYS300 and RYS 500. What are RYT, RYT 200 and RYT 500 ? A Registered Yoga Teacher (RYT) is a distinction given to yoga teachers who meet Yoga Alliance requirements of 200, 300 and 500 hours yoga training and yoga teaching experience. 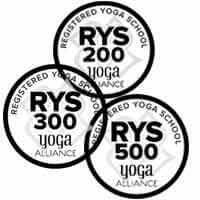 To be listed as RYT-200, RTY-300 and RYT-300 the teacher must complete training with a Registered Yoga School (RYS), be confirmed by Yoga Alliance and be updated with annual fees and continuing yoga education. What is the difference between RYT and E RYT ? RYT stands for Registered Yoga Teacher who might or might not have any experience of teaching yoga at a Yoga Alliance registered yoga school and would have merely successfully completed their 200, 300 or 500 hour yoga teacher training at a RYS. 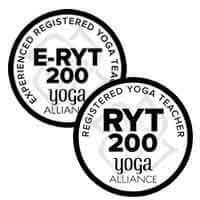 On the other hand E-RYT stands for a yoga teacher who is trained according to Yoga Alliance standards and is also has experience in yoga teaching as they would have completed the specified number of hours of yoga teaching after completing their RYS 200 or RYS 500.